Reading War and Peace was all the adventure I had hoped. Though I cannot say I found it immaculate as a work of art, War and Peace, "loose baggy monster" that it is, has so very many virtues, and so much I can learn from as a writer, that I only wish I'd read it years sooner. I also feel immensely grateful to have had the chance to enter into this long ago world of Russia before, during, and after Napoleon's invasion. Susan Sontag said the novel is an education of the heart. How true this is, and how splendidly well -- apart from a few clunky digressions-- Tolstoy does this. A good novel, a novel such as War and Peace, lets the reader experience not cheap thrills to pass the time but a real sense of other lived lives. As foreign as he is to me, Pierre is me. Nikolai is me. Old Countess Rostov, Bolkonsky, Kutuzov, Bilibin, Dolokhov, Sonya, Napoleon-- all of them, for I, as we all, have uncounted facets of my being, facets that may never manifest, but that does not mean they are not there. What would it be like to be a fusty Russian aristocrat? A loyal servant? A Swiss tutor? To fight in the Battle of Austerlitz? To lose all one's money? To walk barefoot for a hundred miles? Encounter an emperor, stab with a sword, gallop on the swiftest of horses over snow dusted fields? In sum, for having read War and Peace, my sense of the world and of what it means to be human has expanded. Dear Leo Tolstoy, and his translators, Richard Pevear and Larissa Volkhonsky, here on the last day of 2011, in the English language, I thank you from the bottom of my heart. Dreadful. The whole of Part Two should have been cut, or at the very least whittled way down to a third and published separately. This is not to say I don't think Tolstoy makes some fascinating and important points about free will, freedom, power, history, politicians, and so on, but this part is rather as if Michelangelo, as a final touch to the Pieta, were to have stuck a Bible on a stick onto the Madonna's head. The wedding of Natasha, who married Bezukhov [Pierre] in the year thirteen, was the last joyful event in the family of the old Rostovs. That is a simply elegant opening sentence-- you know there's a world of story to come (what sad things will happen?). At this point in the novel, disgruntled as I am over what I think of as the chapters of Herr History Professor bloated blather, I am both engaged and admiring. Precisely at a time when the count's affairs had become so entangled that it was impossible to imagine how it would all end if it went on a year longer, he unexpectedly died. In the fall of 1814, Nikolai married Princess Marya and moved with his wife, mother, and Sonya to live at Bald Hills. Sonya, of course, is Nikolai's orphaned cousin and first love. But, as I read along, I am reminded that no, this is Russia in the early 19th century; such a living arrangement surely had its tensions, but not what they would have been in my world where a person such as Sonya would have had other opportunities. Natasha let herself go to such a degree that her clothes, her hair, her words spoken out of place, her jealousy-- she was jealous of Sonya, of the governess, of any woman, beautiful or not-- were habitual subjects of jokes among all those close to her. A dull, despondent gaze, out-of-place replies, and conversation about the nursery was all he saw and heard from the former enchantress. What strikes me, not for the first time, is how Tolstoy allows his characters to change, oftentimes dramatically and multiple times. The countess was already past sixty. Her hair was completely white, and she wore a cap with a ruffle that went all the way around her face. Her face was wrinkled, her upper lip was sunken, and her eyes were dull. ... that she had already finished her business in life, that all of her was not in that which could be seen in her now, that we would all be the same, and that it was a joy to submit to her, to restrain oneself for the sake of this being, once so dear, once as full of life as we, and now so pathetic. Memento mori-- said these glances. Of all the household, only quite bad and stupid people, and the little children, did not understand that and avoided her. Ah, this to me is the greatest of the greatness of Tolstoy. Father! Father! Yes, I'll do something that even he would be pleased with. . . "
Does this work as an ending? It most assuredly does, giving a sense of momentum into the future while looking back upon all the horrors and the heroism of the recent war, and comparing it (via mention of Plutach's Parallel Lives of the Noble Greeks and Romans) to the symphonies of history. It is, in fact, symphonic. Problem is, the novel does not end here. Would that it had. When Tolstoy writes about the other characters' glances and conclusions about Countess Rostov, this reminds me: it's such a limbering up to ask, how do my various characters see each other? The results of the exercise don't have to end up in the novel-- they can be tossed onto compost pile. But there is almost always some insight to be gained, and perhaps some little but brilliant detail pops up. "Several years had passed since 1812." That seems innocent enough, but then for four chapters, Tolstoy turns into the Cosmic version of Herr History Professor. It's interesting but largely inarticulate and repetitive and, well, strange. And yet, I take his point. My sense is that all of this material could have been dramatically reduced and published elsewhere-- in the modern world, it might have been used as fodder for a "Reader's Guide" on the author's website. Oh so Jane Austen-y. But well done. I'm reading. The princess [Marya], wincing from the desire to hold back her tears, sat beside Natasha and for the first time listened to the story of those last days of the love btween her brother and Natasha. This tormenting and joyful story was evdiently necessary for Natasha. She spoke, mixing the most trifling details with her innermost secrets, and it seemed she could never finish. She repeated the same things several times. Had Tolstoy shown rather than told, ayy it would have been tedious. So here's an example of an exception to the old workshop saw, "show don't tell." I've been complaining about Tolstoy's history lessons, but this one, about the return of the Russians to Moscow, was very interesting. I'll talk more about this in my summary, but one of the things I've especially enjoyed about reading War ad Peace is getting a rough yet very vivid sense of the history of the French invasion of Russia. "[H]e had learned to see the great, the eternal, and the infinite in everything... Now, to this question "Why?" a simple answer was always ready in his soul: because there is God, that God without whose will not a single hair falls from a man's head." A little Sunday Schooly, but... OK. Here again, as with so many things, Tolstoy gets away with what a modern writer could not-- at least in the eyes of this reader. Seriously, a lot of theories about Jesus in your novel would not only make me quit reading but curl my toes. So, why does Tolstoy get away with it? In part because, well, he's Tolstoy-- by which I mean, well, he's famous and so reading him gives me something to talk with other people I respect and know who have read him, which I cannot say about contemporary "Christian" novelists. So I'll admit to a little sociological incentive. However, in so many places Tolstoy has revealed such profound and majestic perceptions about human nature that I forgive far, far more than I would any other author. WHY READ WAR & PEACE? 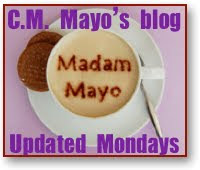 WHY THIS BLOG? AND WHO IS C.M. MAYO? 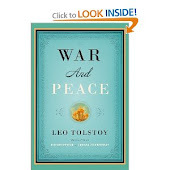 Anyone with a brain in their cranium and a high school education will have heard of Tolstoy and his epic novel War & Peace and yet very few of even the most exquisitely educated have actually read it because it is... beyond... humungous. (Read about how I cut it in half with scissors.) So why read War & Peace? To experience one of the reputed great works of Western culture; to check it off the bucket list; and, as Mallory said of Mt Everest, "because it's there." But more: in my case, as a writer, to learn from its both its successes and failures. This blog is my exercise in reading as a writer-- a very different endeavor than merely reading to be entertained. C.M. 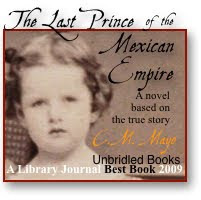 Mayo is the author of The Last Prince of the Mexican Empire (Unbridled Books), an epic novel based on the true story and named a Library Journal Best Book of 2009. She is also the author of Sky Over El Nido (Univ Georgia Press) which won the Flannery O'Connor Award; Miraclous Air: Journey of a Thousand Miles through Baja California, the Other Mexico (Milkweed Editions); and Metaphysical Odyssey into the Mexican Revolution (Dancing Chiva) a work of creative nonfiction that won the National Indie Excellence Award for History. 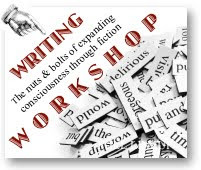 For several years she has taught a popular one or two day workshop, "Techniques of Fiction" at the San Miguel Writing Conference, for Dancing Chiva in Mexico City, and at the Writer's Center, where she is a long-time faculty member. 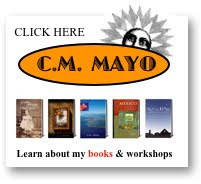 >Download her free ebook, C.M. 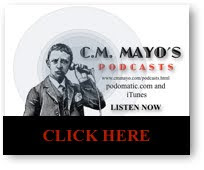 Mayo on Creative Writing: The Best from the Blog. 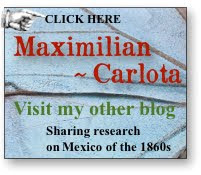 >Visit her other blogs, Marfa Mondays, Madam Mayo, Maximilian ~ Carlota, and Giant Golden Buddha.